Author Bio: Allison Wolfe – A RROSE IN A PROSE REVIVAL! Allison Wolfe, along with Molly Neuman, created and edited the ‘zine Girl Germs in 1990 in order to connect with like-minded punky feminist girls trying to find collective voices in a sea of grunge dudeness. They further formed the all-girl band Bratmobile with the intention of helping create and expand a feminist music scene spearheaded by Kathleen Hanna and Bikini Kill. This feminist, DIY music scene, soon to be coined “riot grrrl,” had a goal of making the punk rock scene more feminist while simultaneously making academic feminism more “punk.” Later recognized as a strain of third wave feminism, riot grrrl spread throughout the 1990s, mostly in the US and UK, as a loose network of young, feminist, alternative music scene women who protested dominant culture through cultural activism. 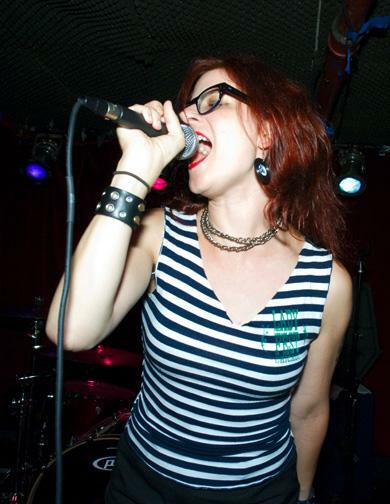 After the demise of Bratmobile and riot grrrl, Allison continued to be active in bands such as Cold Cold Hearts, Deep Lust, Partyline, and Cool Moms. In 1999-2000, she initiated Ladyfest, a non-profit, DIY indie feminist music festival. She has also written columns for Punk Planet, Fag School, and Shojo Beat. Allison currently lives in Los Angeles where she has started a new band and is working on an oral history of riot grrrl. Allison Wolfe, plus David Markey, Kim Cooper, and Gene Sculatti, will be reading tomorrow at A Rrose in a Prose at LA Zine Fest! Next Post William Mitchell – may your rest in peace.